Our 7th Annual Conference will be held on the 15 October 2019 at the QEII Conference Centre in London. Save money with our unmissable Super Early Bird offer; add tickets to your shopping cart below. Energy UK members must login first to get the member's rate. 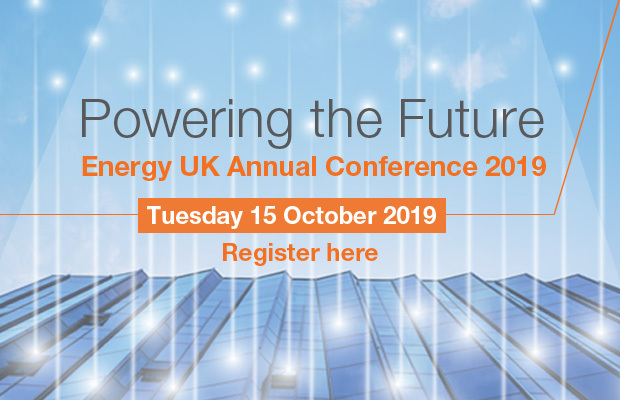 The Energy UK annual conference is one of the biggest and most influential set-piece annual energy conferences where the diverse nature of the UK industry comes together. It brings together industry leaders from the generators, suppliers, regulators, politicians and consumer groups to address the important industry challenges. Last year we asked our attendees what their views were on the future of energy. Watch the video. Energy UK members should login to buy at this price. Non Members can purchase tickets by clicking on the 'add to cart' button and clicking on the 'register' link after checkout.